Facebook Par Security Or Privacy Ko Dhayan Me Rakhte Hue Facebook Ne Aapni Community Standard Me Bahut Kuch Badlav Kiye Hai, Facebook Ne Indian User Ke Liye Ek Khas New Feature Tool Launch Kiya Hai Jisko Facebook Profile Picture Guard Tool Ke Naam Se Jana Jata Hai, Aaj Me Aapko Facebook Photos Par Full Control Or Aapni Photos Ko Protect Karna Sikhauga. New Features Yahi Hai Ki Agar Aap Is Feature Ko Enable Karte Hai To Uske Bad Aapki Photos Ko Koi Bhi Download Nahi Kar Sakta, Share Bhi Nahi Kar Paayega, Unknown Tags Or Unwanted Tags Se Bach Sakege Or Yaha Tak Ki Aapki Photos Ka Screenshot Bhi Nahi Liya Jayega Or Aapka Facebook Photos Par Full Control Hoga. 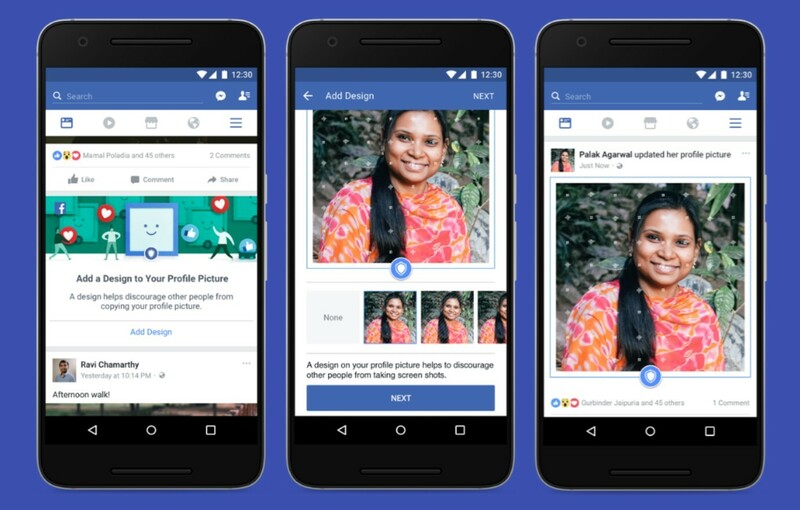 Facebook Profile Picture Guard Se Aapni Profile Picture Ko Kaise Protect Kare Uske Bare Me Aapko Protect Karne Ka Full Tarika Hindi Me Batauga Jiski Jankari Aapko Step By Step Batane Wala Hu, Yeh India Me Hi Kyu Available Hai Iski Jankari Bhi Aage Aapko Dene Wala Hu. 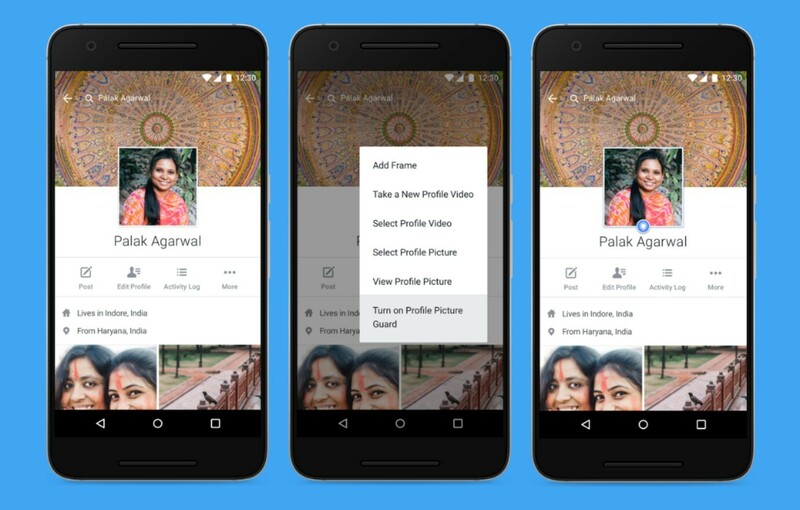 Facebook Profile Picture Guard Tool Kya Hai? Facebook Profile Picture Guard India Me Hi Kyu Launch Hua? Agar Aapka Bhi Facebook Account Hai To Pahchan Ke Liye Aapki Facebook Profile Photo Importance Rakhti Hai, Par Kuch Log Aapni Real Picture Ko Facebook Par Share Karne Se Darte Hai Unhe Yeh Dar Rahta Hai Ki Koi Unki Photos Ka Galat Use Na Kare, Ya Koi Unki Facebook Profile Photo Ka Misuse Karke Fake Account Na Bnale, Yeh Problem Sabse Jyada Women Or Girls Ko Hoti Hai. 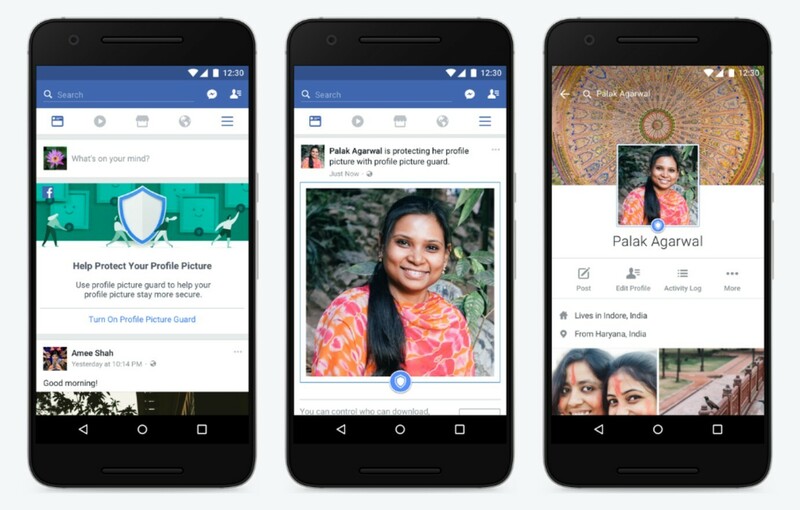 Facebook Profile Picture Ko Protection Dene Ke Liye Aarti Soman Jo Facebook Ke Product Manager Hai Unhone Yeh Feature Launch Kiya Hai Jisko 21 June 2017 Ko Release Kiya Gya Hai, Facebook Profile Picture Guard Tool Ko Aap Ek Bar Enable Kar Lete Hai To Yeh Confirm Ho Jayega Ki Facebook Photos Ko Koi Download, Share, Tag Or Unka Screen Shot Nahi Le Paayega. Kya Aapko Pata Hai Yeh Keval Abhi Tak India Me Release Hua Hai, Jab Aap Isko Enable Kar Lete Hai Tab Aapko Blur Frame Facebook Profile, Add Watermark On Facebook Photo Jaise Features Milege Jisse Aap Aapni Facebook Photos Ko Secure Karke Unki Protection Kar Sakte Hai. Kuch Logo Ke Question Yeh Bhi Hai Ki Yeh Feature Tool Keval India Me Hi Launch Kyu Hua Hai Baki Country Me Kyu Nahi Hua, Facebook Ke Ek Survey Se Pata Chala Hai Ki 70% Facebook Female Accounts Jo Indian Hai Wo Aapni Real Profile Picture Use Nahi Karta Iske Piche Ka Region Yahi Hai Ki Wo Aapni Profile Picture Par Extra Protection Chahti Hai. Agar Aapko Aapne Facebook Account Me Facebook Profile Picture Guard Activate Karna Hai To Niche Bataye Gye Method Ko Carefully Follow Kare Jisse Aap Aapni Facebook Photos Ki Privacy And Security Improve Kar Sakte Hai. Isko Use Karne Ke Liye Me Aapko 2 Alternate Method Batane Wala Hu Dono Me Se Jo Aapko Pasand Aaye Wo Use Kare Jisse Facebook Profile Picture Ko Chori Hone Se Bacha Sakte Hai. 4) Ab Save Ka Option Milega Uspar Click Karke Save Kare, Then Aapki Profile Picture Par 🔰 Shield Symbol Show Hoga, Ab Aapki Facebook Profile Picture Protected Hai. Ek Or Baat Kya Aapko Pata Hai Is Security Tool Ko Facebook Community Standard Ki Policy Ko Dhayan Me Rakhkar User Friendly Banaya Gya Hai Jisse Aap Profile Picture Ko Aapne Hisab Se Design Kar Sakte Hai Uske Liye Facebook Profile Me Jaye Or Add A Design To Your Profile Picture Par Click Kare Uske Bad Aapko Add Design Ka Option Milega Jisse Aapne Anusaar Blur Effect Or Frames Effect De Sakte Hai. 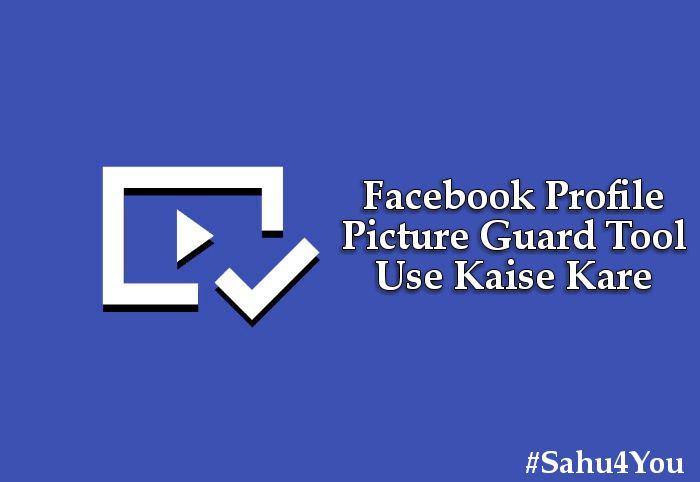 Sahu4You Readers Aap Is Tarah Se Aapni Facebook Photos Ko Protection Dekar Guard Kar Sakte Hai, Facebook Profile Picture Guard New Facebook Tool Ke Bare Me Hindi Jankari Aapko Kaisi Lagi? Yaha Par Maine Aapko How to Use New Facebook Tool In Hindi Ki Jankari Share Ki, Umeed Karta Hu Yeh Chota Sa Article Aapke Liye Helpful Hoga. Good Work kafi Ache Tarika Se Apne describe Kiya Umeed Karta Houn ap aisi Knowledge Share karte Rahenge ! सर जी मेरे फेसबुक में ये ऑप्शन नहीं आ रहा है क्या करू ..फेसबुक अपडेट भी है पर ऑप्शन नहीं आ रहा है …..